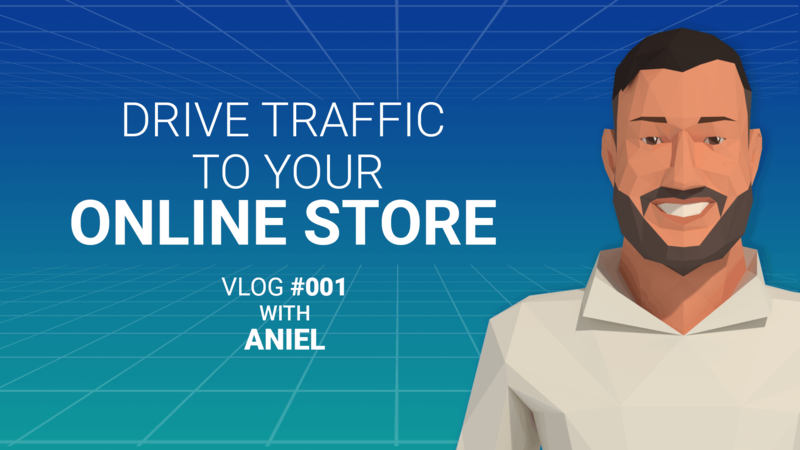 00:00 Hey guys, Aniel from Electric Engine, and today I want to talk to you about driving traffic to your online store. Even if you have the best product in the world, if nobody can find you, you have a big problem so we're going to give you three tips to help you address that. 00:14 So here we go, tip number one, social media advertising. Your brand should already be on social media, but you should be advertising there as well. We all know everybody's spending a ton of time on social media, so while they're scrolling and liking, retweeting, leaving comments, you should be front and center for them to notice you. Not only will you be generating sales, but you'll be creating opportunity to gain new fans and followers. They may see what you're about, see what your brand is posting, really like it and now you have dedicated, passionate fans that will be enthusiastic about you. And that's ideally what you want. In order to accomplish this, think about using authentic customer photos and videos. So user generated content, we found those tend to perform a lot better than stage photos and stock photos, so shy away from that. 01:02 Tip number two, add content to your online site. You have people getting to your site, but you want them to stay there and come back. So whether it's product descriptions, FAQ's, tutorials, informative articles in the form of a blog, it's about creating those entryways to your site. So for example, if you sold mattresses and you wrote an article about sleep because that's industry related, someone may search for sleep and stumble upon your site and you have a potential customer. 01:31 Tip number three, product reviews. Make sure your site has the ability for your customers to leave product reviews, it helps to build loyalty and trust. That's typically how people make that purchase these days, they read the customer reviews the added benefit is that when people leave these customer reviews, it helps with SEO, it helps you to get found. So people tend to leave reviews the same way that people search. They may say, wow, this was a really great blue, comfortable sweater. And somebody may be on the other side, searching for, I really need a blue, comfortable sweater. So it's a match, you might get found that way. Pretty simple but really helpful. 02:09 So those are the three tips, social media advertising, adding content to your site, product reviews. Pretty easy to put those things into motion, so please do, let us know how it works out. If you have any comments, further questions, definitely hit us up, like us, follow us. Until next time, catch you later.